The BBC executive heading up the roll-out of the Local Democracy Reporter scheme has admitted that it will not “slow or offset” the rate of job losses in the UK regional press. Since the start of 2018, more than 90 reporters have been taken on in regional newsrooms across the UK to provide coverage of councils and other bodies under the £8m-a-year project, which is funded from the licence fee. 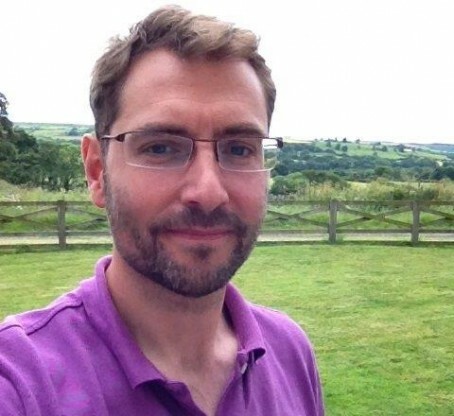 HTFP approached Matthew to write the piece in response to claims by former South Wales Argus editor Kevin Ward and others that the LDR scheme was being used as a way to “subsidise” job cuts by regional publishers. Their comments came after the rollout of the scheme in the early months of this year coincided with the announcement of major restructuring plans in some regional newsrooms which saw around 100 roles put at risk. Writes Matthew: “The BBC cannot legally, and should not morally, dictate the shape of the local news market: those who make and use the content must still be free to run their own businesses. “Bluntly, the Local Democracy Reporting Service will not slow or offset the rate of job losses among local news companies in the UK. “What we can guarantee is that there will be 150 reporters across the UK for the next decade, reporting on local government, councils and other public bodies, and making that journalism freely available to the Local News Partnership. Here is his piece in full. This week, the 5,000th Local Democracy Reporter Service (LDRS) story was filed and distributed to the members of the Local News Partnership. It’s still early days in a long term project of significant complexity but the signs are promising: we are using the stories on air and online and we can see our partners using them widely too. There are currently just over 90 reporters filing into the LDRS across mainland UK, with another 50 or so to be hired. They are employed by suppliers who are funded by us, and their content is made available to the 800 partner news outlets. We’re seeing stories from attending council meetings, committees and health trusts, and from scrutinising the agendas and reports which surround them. It’s a vital but vulnerable type of journalism which the BBC wants to protect for our own audience, for other local news providers and for the good of society in general. There’s more to the Local News Partnerships than just the LDRS. Our Shared Data Unit in Birmingham is a small team of talented BBC journalists who work alongside reporters seconded from the partnership. For 12 weeks at a time, they work collaboratively on public interest stories which they distribute for all partners to use – so far they have sent out seven “story packs”, generating 251 stories across 145 news outlets across the UK. The content works just as well for us: their investigation into Britain’s bus network was used on BBC Network Radio and the News Channel, our regional TV and numerous Local Radio Stations, in addition to sitting on the “Most Read” section of the website for much of the day. This summer we launch the News Hub, a ground-breaking means of sharing BBC local and regional news content so that partners can embed it on their web sites. In exchange for useful content which will improve the offer to those websites’ audiences, we get a new means to distribute our journalism. All this aside, there is some persistent misunderstanding about the fundamentals of the partnerships. The BBC, the News Media Association and the regional press all have their critics and our partnership has not been well received by everyone. In terms of transparency, almost every detail of the partnership, past and present, can be freely found online. In drawing up the contracts, the BBC took care to ensure that as far as possible, the existence of the Local Democracy Reporting Service (LDRS) would not have a negative impact on existing jobs. Where suppliers use current members of staff to perform the LDR duties, the BBC does not release any funding until proof of backfill has been provided. The LDRs work to a specific brief and there are clear guidelines as to how the service should operate. But the BBC cannot legally, and should not morally, dictate the shape of the local news market: those who make and use the content must still be free to run their own businesses. Bluntly, the Local Democracy Reporting Service will not slow or offset the rate of job losses among local news companies in the UK. What we can guarantee is that there will be 150 reporters across the UK for the next decade, reporting on local government, councils and other public bodies, and making that journalism freely available to the Local News Partnership. Whatever shape the local news market takes over the next few years, the LDRS will continue to offer public service journalism to local news providers and the BBC. We value the existence of other local news providers and believe they are an essential part of a healthy democracy – newspapers, broadcasters, websites large and small. We also value editorial competition: the desire to be first, to be revelatory, to make an impact, drives much of journalism’s best work. But that does not preclude co-operation. The companies which employ the LDRs face tough financial challenges but share our belief in the importance of public service journalism. Hopefully the Local News Partnerships will be the first of many steps towards a plural, sustainable and collaborative future. I’d go so far as to say it’s accelerating the rate of non-BBC job losses, with unscrupulous employers using the LDRs and their work as an excuse to do without other staff (yes, we know they’re not supposed to, but try proving it). At least the councils are being reported properly again. Well……… I could name one publication where two members of staff have been given redundancy, one has moved from web back to print and one has ‘moved’ from a staff blunt to LDR. Yeah it’s working really well Aunty Beeb, thanks for nothing. Those behind the scheme might want to investigate what prompted one LDR in Essex to walk out after six weeks. What’s to complain about? At least the BBC is doing something to sustain some sort of democratic role for the local Press. Interested in TwisV’s comments as we have had a very frustrating time in Essex. Applaud the Shared Data and the effort Matthew and team is putting in but we have had all sorts of problems. No diary (still); re-hashed press releases, no coverage of local elections, material appearing on individual paper’s website and not in system. Goes on and on. Yeah, Citizen. Claiming to create 150 new jobs (Aunty Beeb’s words) when the reality behind the smoke and mirrors seems to be less. Hmmmmmm…….If the archaic licence fee were scrapped in would be interesting to see how things would balance out……. The papers would continue to cut back and give up completely on covering councils, safe in the knowledge no one else was going to bother to do it, save for a small band of interested local bloggers. If papers have used this as an excuse to cut jobs that isn’t the BBC’s fault. They are using the licence fee to make sure councils still get covered. How executives manage (or not) their companies is their own business. These jobs have been advertised for some time now, yet the ads seem, to proliferate. Are they being filled at the £21-22k advertised? We had one, who was soon being given the press releases, free ad copy for local businesses etc. and never saw council or court. Soon left.